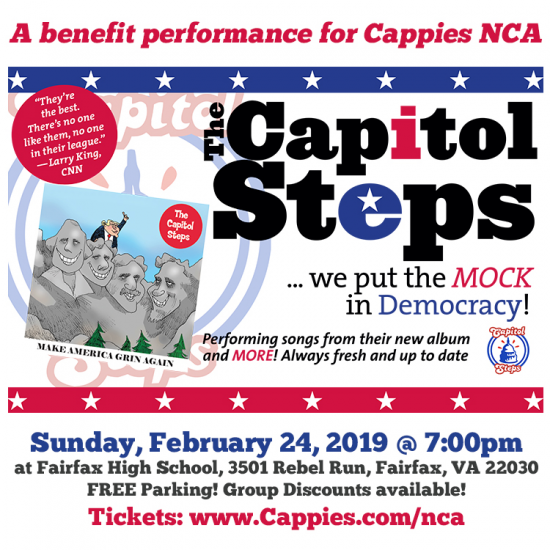 Enjoy a SILLYarious evening of laughing till your face hurts as the Capitol Steps political satire comedy troupe performs a show to benefit high school theatre for the Cappies of the National Capitol Area! Purchase tickets now as holiday gifts and share the event with friends and family! Sunday, February 24 at 7:00 p.m.